The flag reads: "Liwa al-Imam al-Mahdi. The Imam Ali Battalion. The Islamic Resistance in Syria." 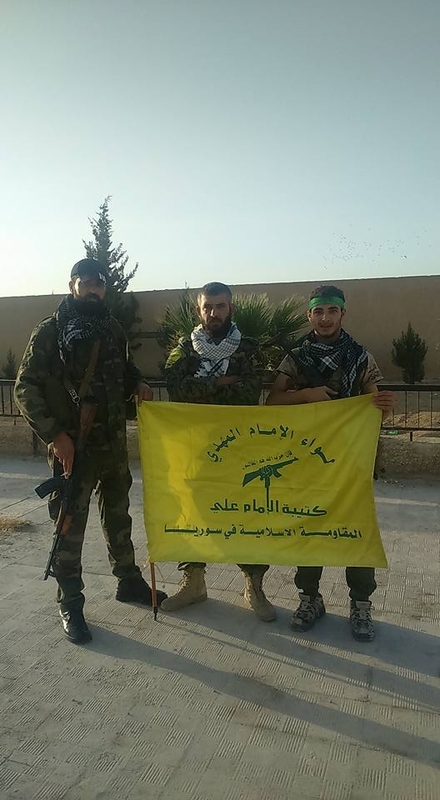 Note the extended arm and rifle, a classic symbol associated with Iran and Hezbollah.